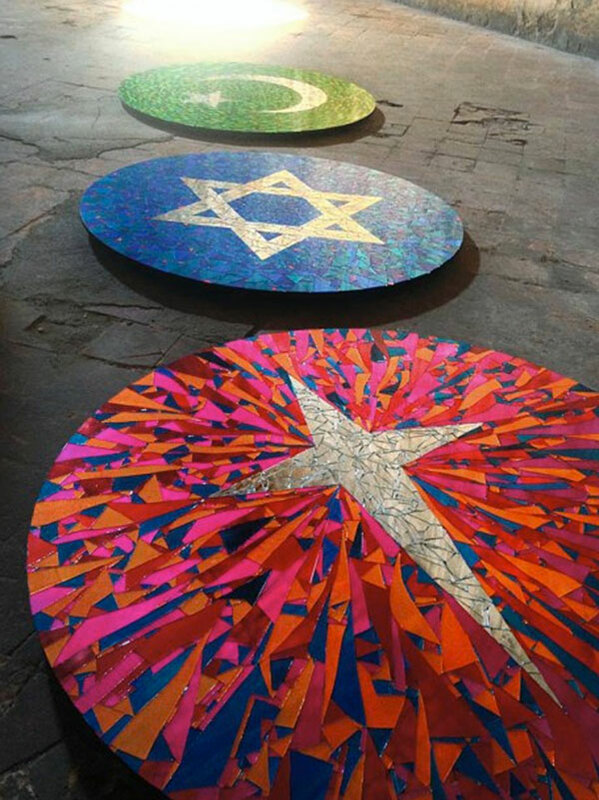 An installation at the Church of San Matteo in Lucca, Italy created by Fabio La Fauci and Daniele Sigalot (aka Blue and Joy), that consists of 3 round mirrors made of 5000 broken pieces of painted glass and with the symbol of 3 religions on each of the mirrors. 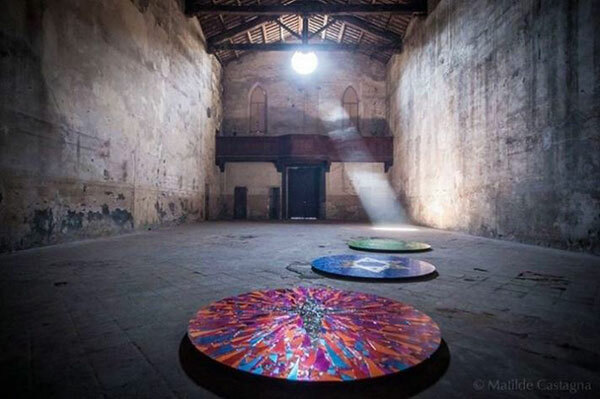 The sunlight coming through the rose window is refracted on the opposite wall as it hits each mirror at different times creating a visual experience for the visitors. 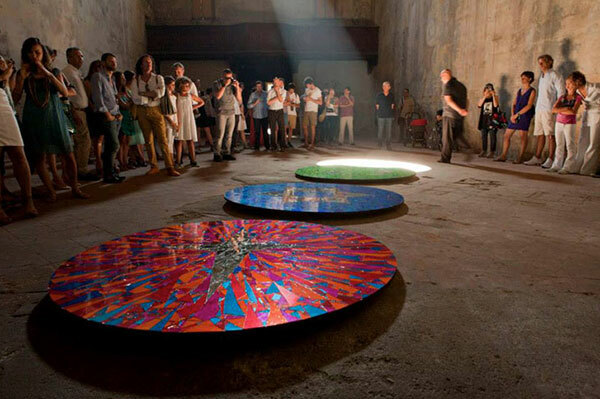 The Angle of God is a reflective and chromatically revealing device; by being an archetypal mandala, it announces the divine presence in the same light of creation and of vision.